The red tree makes me think of the light at dawn. As the sky just turns blue and the sun is still only waking up. I am going to do more with this but here is the progress so far. 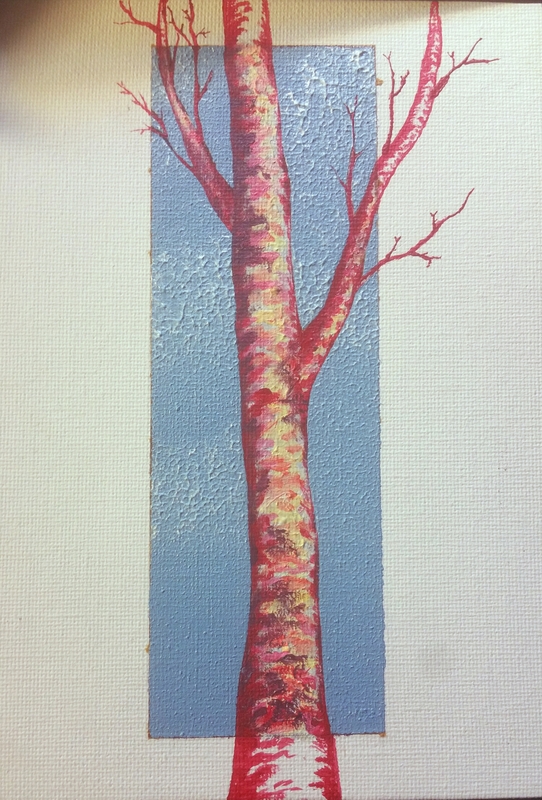 The sepia background did not give me as much contrast as I wanted for such a bright and fun tree.